Today I hiked the trail to Devil’s Head Lookout. The trip to the trailhead was half of the fun. I drove from Colorado Springs up to Woodland Park, and then took Rampart Range Road north for about 90 minutes. I had never taken Rampart Range Road that far before. The trail was quite busy with people. 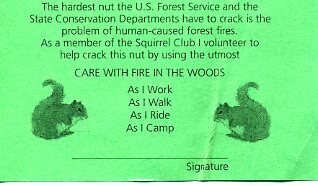 It is a good, well-maintained trail. 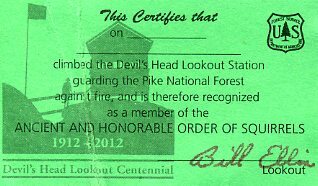 The friendly ranger at the lookout tower was handing out these souvenir cards. It bugs me a little that I still don’t know how the peak got its name. I could not recognize any rock or perspective that reminded me of a devil’s head. The Gunnison Gorge National Conservation Area and Wilderness is located northwest of the Black Canyon of the Gunnison National Park, near Montrose, Colorado. We spent the weekend in Montrose, and this hike was part of our exploration of the area. It started out with a $20 boat-shuttle across the Gunnison River, courtesy of the Gunnison River Pleasure Park, a private business at the north entrance of the gorge. The shuttle fee included a rowboat rental, which they left us to get back across. The river is shallow enough that it appears possible to wade across, but in order to do so one should be prepared with appropriate clothing and extra shoes. 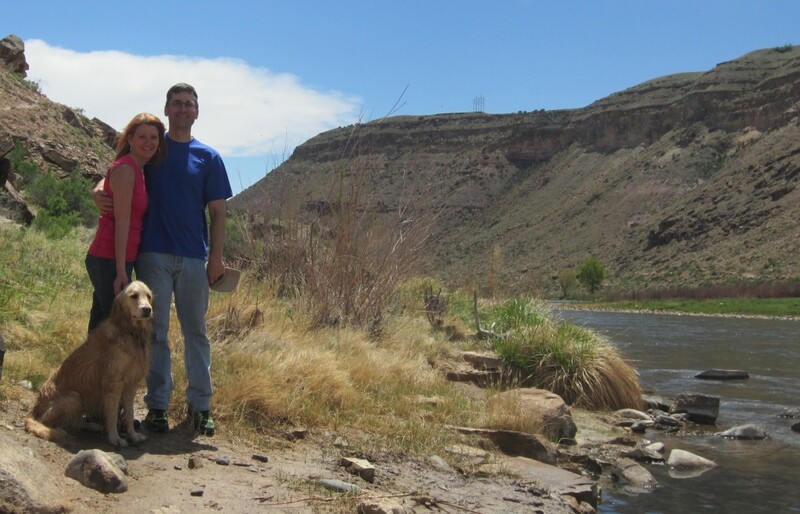 The trail we took follows the east bank of the Gunnison for about 3 miles, in and back. We completed a little less than 1/2 of the distance. The trail on the west bank probably would have been easier, but less adventurous. The west bank trailhead is accessible by car, and the trail appears wider and less rugged than the east bank trail. This area looks popular for fly-fishing. 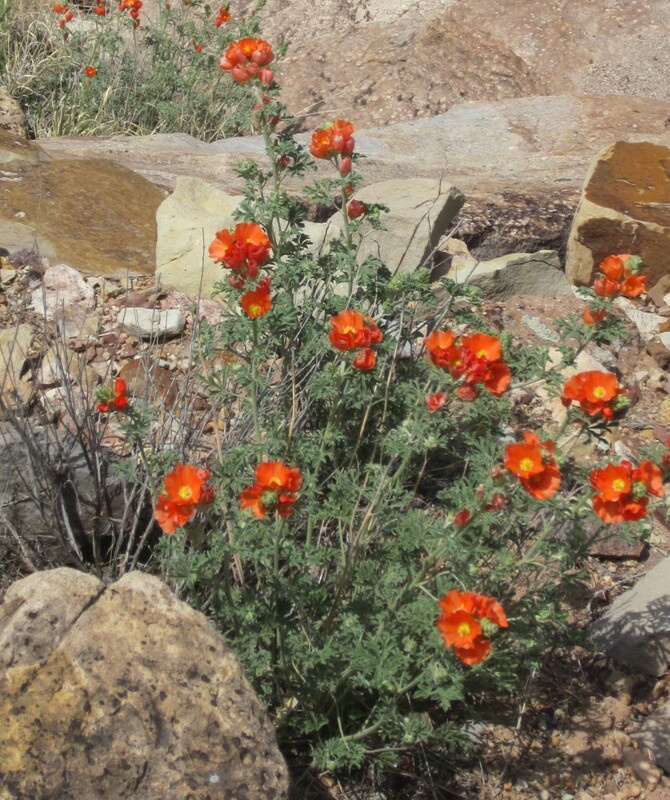 We saw our first wildflowers of the year on this hike–Globe Mallow. 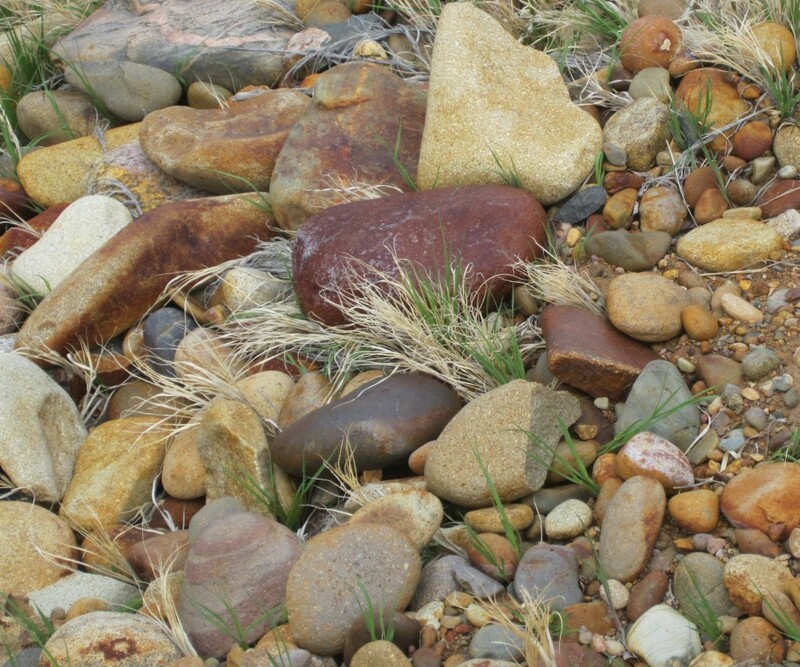 Michelle really liked the colorful rocks near the river. This weekend, we met some new friends: Trish, Richard and Sam. Trish and Richard are musicians of The River’s Voice, and Sam is their son. They stayed with us for the weekend, while in Colorado Springs for a concert. We really enjoyed the weekend with them, as well as the concert! 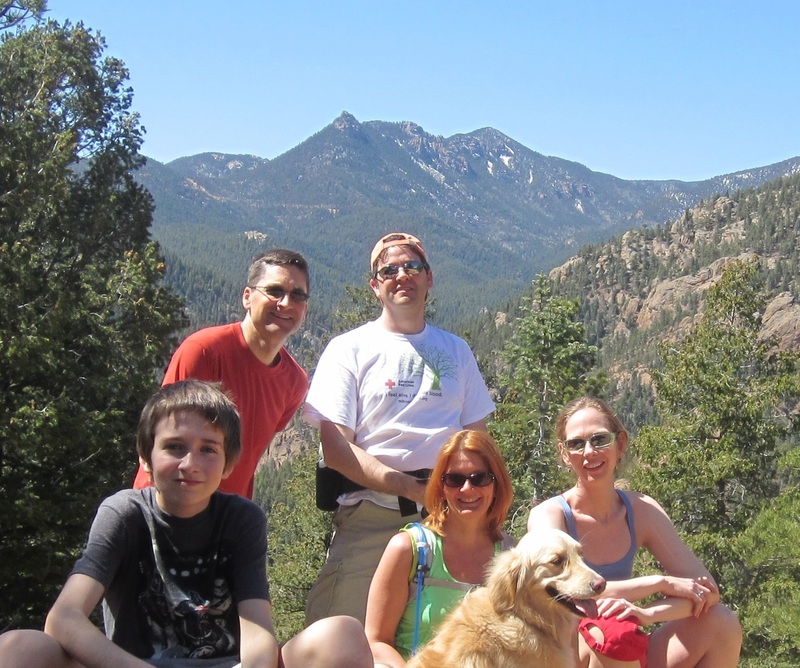 On Sunday morning, we got to show our visitors around North Cheyenne Canyon Park. 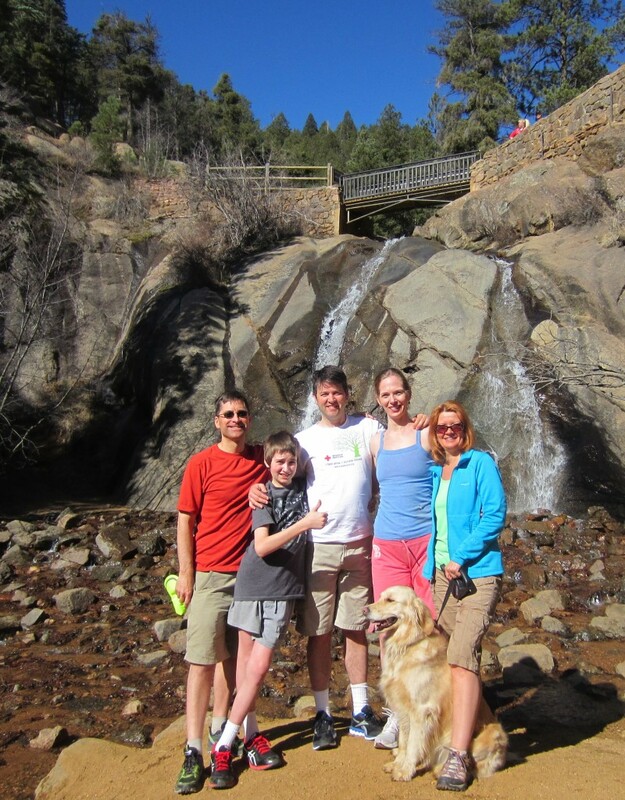 We started with Helen Hunt Falls. Then, hiked the popular Mt. Cutler hiking trail. The ladies did not go out to the overlook because the approach was a little too steep and gravelly. Everyone did reach the top of Mt. Cutler. The weather was great, and it was a very pleasant hike. Sam, Chris, Richard, Michelle, Trish, Sammy, on Mt. Cutler. St. Peter’s Dome in background.